Ahhhh, prom night… choosing a dress, stressing about a date and awkwardly dancing to 80's tunes without knowing what to do with your hands... Such a magical night! While teens today may have a little more swag that in the olden days, one thing is for sure – the prom is still one of the most important events in their young lives. So, what do you do when you don't have a date to this romantic night? Well, for one teen the answer to that question is taking a cardboard cutout in the shape of 73-year-old Danny DeVito, decked out with a boutonniere and a tie, as her date. 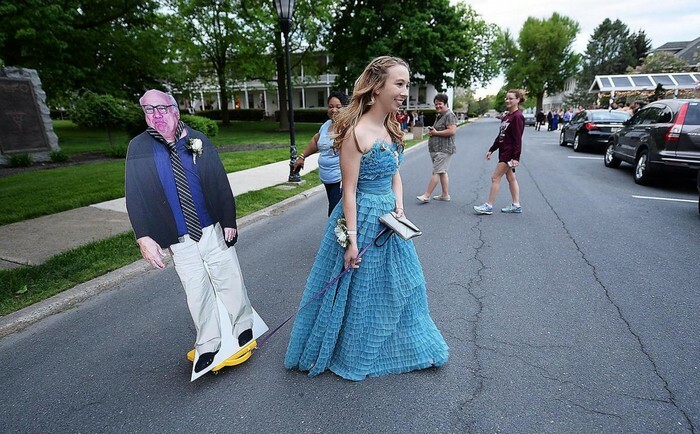 This last April, Allison Closs decided to make a move and take DeVito, or more accurately - the flat version of him, to her prom. 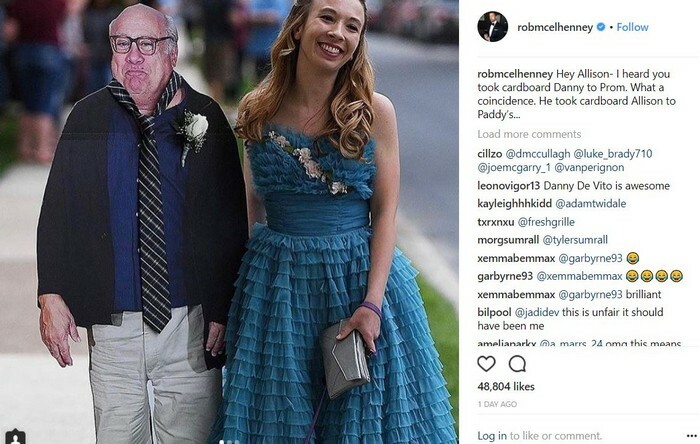 She wheeled him around on a children's scooter, danced with him and of course – took photos with the beloved It's Always Sunny in Philadelphia actor. 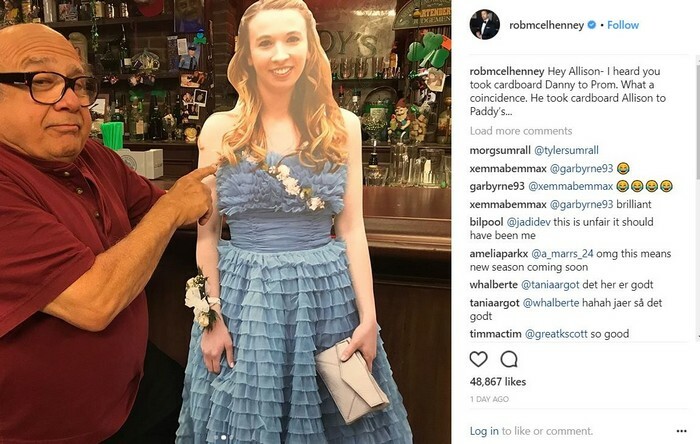 After posting photos with her date, DeVito decided to attend his very own drunken prom with Allison, so he took her cutout to on set to 'Paddy's Pub'. Like with Alisson, DeVito took photos with his date that looked beautiful in her light-blue dress. These two might not end up being a couple for life, but they will always have memories from their date's cutouts that they will cherish forever.